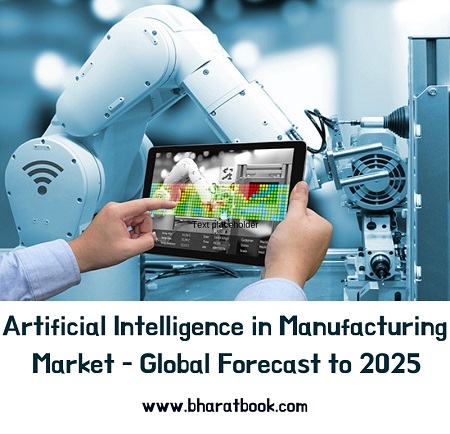 The AI in Manufacturing Market is expected to grow from USD 1.0 billion in 2018 to USD 17.2 billion by 2025, at a CAGR of 49.5% during the forecast period. Increasingly large and complex data set available in the form of big data and evolution of industrial IoT and automation are the key drivers of this market. Improving computing power, declining hardware cost, and increasing venture capital investments are the other factors fuelling the growth of this market. However, reluctance among manufacturers to adopt AI-based technologies and lack of awareness among small and medium-sized businesses are among the major factors restraining the growth of the AI in manufacturing market. Also, high power requirement from machine learning hardware, especially during network training, is limiting the growth of the said market.